it has been frigid cold lately and my body is not ready for the colder weather at all. december is definitely here. we have been bundling up around the house to stay warm with lots of layers and extra blankets. we're not the only ones who have been trying to stay warm. 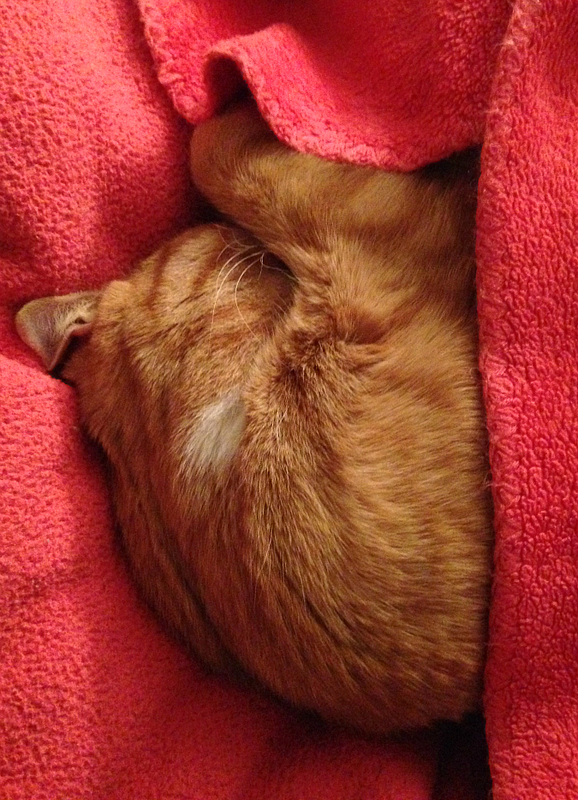 last night leko tucked himself into my favorite pink fleece blanket to stay warm in my lap. we almost died from cuteness overload. i quickly snapped a photo on ryan's phone because i didn't want to forget how cute he was all tucked in and bundled up trying to stay warm. what a sweet kitten! Oh my goodness, what cuteness and softness. I want to crawl under the covers with him and nap.